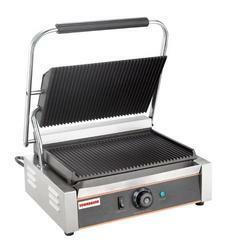 We have on offer Single Sandwich Grillers that are ideal for usage in domestic as well as commercial settings. These can cook one sandwich at a time. They are highly power efficient and involve a quick cooking process. These have been manufactured using high grade materials that do not get damaged when exposed to excessive heat. 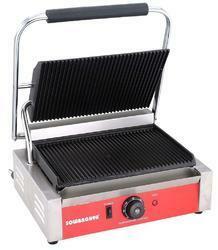 We have on offer Double Sandwich Grillers that can cook two sandwiches at a time. 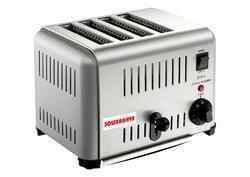 They are ideal for usage in commercial as well as domestic settings. They are power efficient and involve minimal maintenance. They have been manufactured using food grade materials. Their surface is scratch resistant. They can withstand excessive heat. Cooking rice has traditionally required constant attention to ensure the rice was cooked properly. Electric rice cookers automate the process by mechanically or electronically controlling heat and timing, thus freeing up a heating element on the cooking range that had to be otherwise occupied for rice cooking. 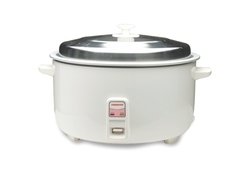 Although the rice cooker does not necessarily speed up the cooking process, with an electric rice cooker the cook's involvement in cooking rice is reduced to simply measuring the rice, preparing the rice properly and using the correct amount of water. 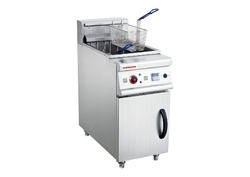 The contemporary commercial deep fryer flaunts improved energy efficiency due in part to better heat transfer systems. A commercial deep fryer with infrared heating or convection heating is reliable, however more expensive. Deep fryer reviews will save you time by narrowing down the many different models. The most typical deep fryer models are electric and gas. The best deep fryer recovers quickly and uses less energy. Looking for Cafe and Restaurants small Equipments ?